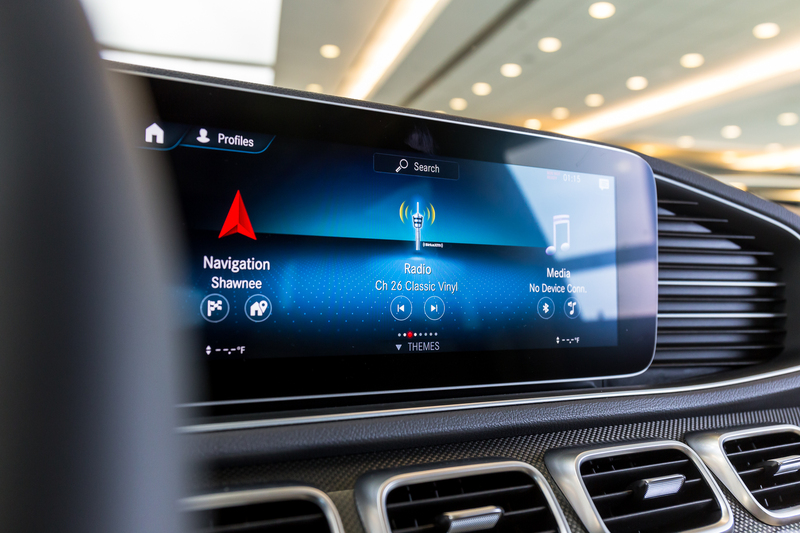 For 2020, Mercedes-Benz has completely redesigned the user interface in the GLE SUV. 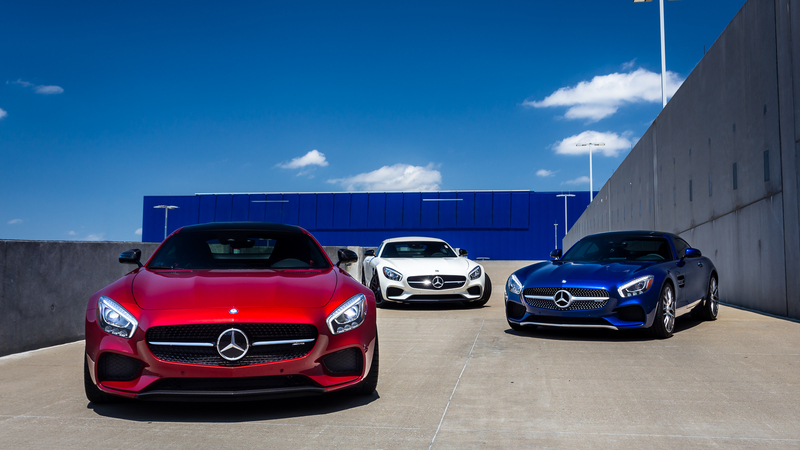 The all new system is called Mercedes-Benz User Experience, or MBUX for short. This new system is also available in the brand new A Class vehicle. MBUX combines touch screen controls, a center console mounted touch pad, touch pad controls on the steering wheel, and Artificial Intelligence powered voice controls. This allows you to customize your interaction with the MBUX system to fit your needs. A quick press of the “home” button that looks like a house, on either the center console, steering wheel, or touch screen will quickly take you back to the main menu, allowing you to quickly navigate your way through the menus. But if you don’t want to use buttons, you can always use voice commands. This new system of voice controls allows you to speak in a normal manner when interacting with the onboard systems. You don’t need to memorize a specific list of commands, as with some older systems. Instead, just say “Hey Mercedes”, and then speak normally. You can ask what the weather is like, or tell your Mercedes that you’re cold, or even just say that you need coffee. The computer is smart enough to know what you’re asking for. The AI will learn your speech patterns the more you use it, so it is constantly improving. To help demonstrate how easy this system is to use, we’ve prepared a brief video of a member of our sales team demonstrating a few of the many things that MBUX can do for you. If you have any questions, feel free to contact us. Aristocrat Motors, the Midwest’s premier luxury auto dealer, is looking for a Pre-Owned Finance and Insurance Manager with a commitment to customer service and a strong drive to achieve. Applicants should have previous experience in automotive F&I management with a proven track record of success. Finally, candidates should be able to outline their strategy for success within the organization. Applicants should apply online at www.SoaveAutomotiveGroup.com/Careers. The applicant must possess a clean driving record and be able to pass a background check and drug screen. Aristocrat Motors, a leading high-end, luxury dealership in the Kansas City automotive market, is looking to add a qualified FULL TIME CAR WASHER to our team! The individual would mainly work with Jaguar and Land Rover vehicles, as well as, with Mercedes-Benz, Porsche, Maserati, and Alfa Romeo. Aristocrat Motors offers a unified team environment, great benefits, and ongoing training and support for its employees. Apply today or refer a qualified friend. You can apply by visiting the following www.soaveautomotivegroup.com/careers. We look forward to hearing from you! Job duties include, but are not limited to…. This is a base level position with the perfect opportunity for the individual to be immersed in the automotive industry. 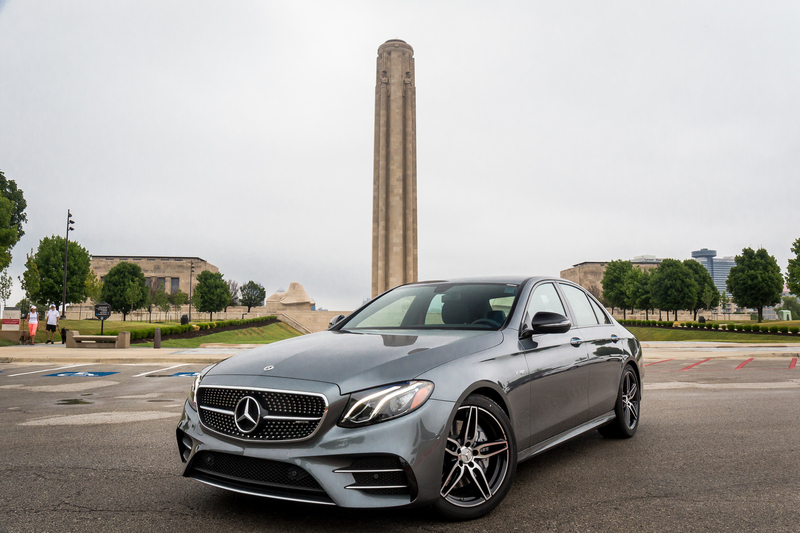 Aristocrat Motors, a leading high-end, luxury dealership in the Kansas City automotive market, is looking to add a qualified FULL TIME SALES PORTER to our team! 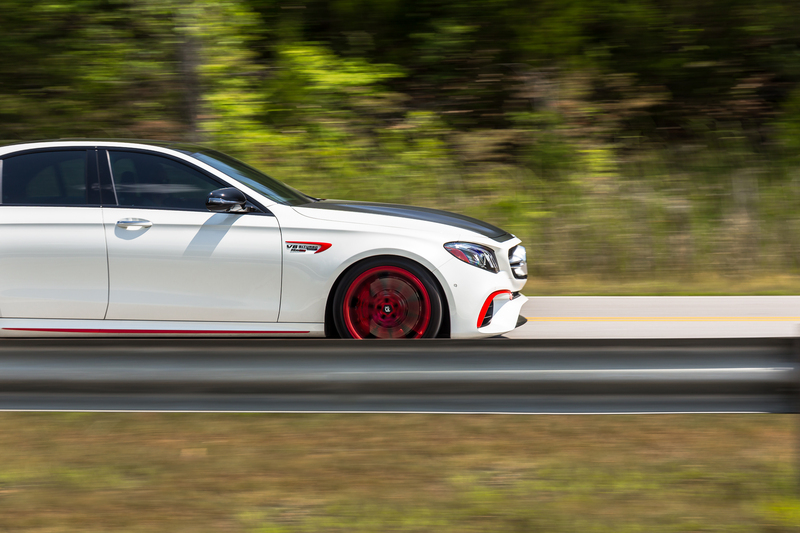 The individual would work with brands that include but are not limited to Mercedes-Benz, Jaguar, Land Rover, Porsche, Maserati, and Alfa Romeo. Aristocrat Motors is looking for a FULL TIME WHOLESALE PARTS DELIVERY DRIVER to add to our team! 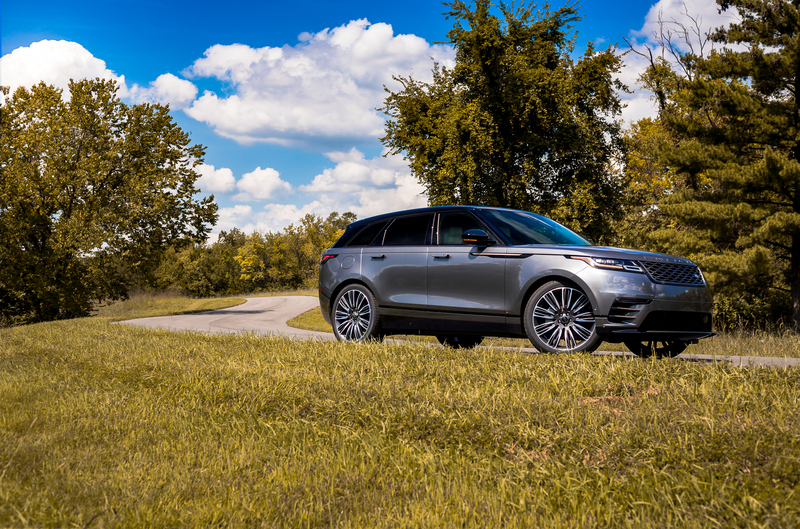 The individual will be working with car brands including but not limited to Jaguar, Land Rover, Mercedes-Benz, Porsche, Maserati, and Alfa Romeo. Full time positions are eligible for benefits including health, dental and vision insurance, 401(k) plan with company match, paid time off, employee vehicle purchase program, and job training. Qualifications: One year of dealership/delivery driver experience is preferred. Knowledge of the KC Metro area is recommended. Must have a valid driver’s license and have and maintain an acceptable and safe driving record. Must be organized and focused with the ability to multitask. Please apply online at www.SoaveAutomotiveGroup.com/Careers. Are You As Happy As You Want to Be? Or Hopeful to Kick It Up a Notch? Happiness is often more elusive than it needs to be. That’s possibly because what actually makes us happy is quite different from what we are told in articles, newspapers, books, and especially in advertisements. History reminds us that the 1950s portrayed housewives literally embracing new refrigerators. And, thus, the message of “the ’frig makes you happy,” along with other appliances, and with things in general, gained a more universal foothold. Many of us grow up with an acquisition frame of mind, and research tells us that early attitudes can set us on the wrong track. Is there a right track? Debatable. However, consider some baseline thoughts and examine that question for yourself. 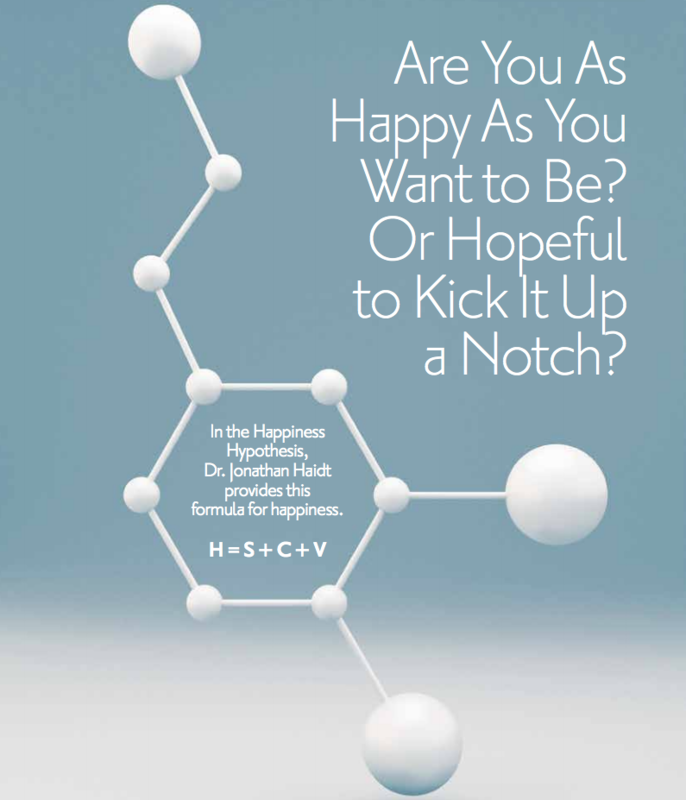 In The Happiness Hypothesis, Dr. Jonathan Haidt provides this formula for happiness. Translation: (H) Happiness equals your set point (S) plus your circumstances (C) plus voluntary activities (V). Research indicates your “set point” is something you are born with. It’s that emotional spot you typically gravitate back to – eventually – when something wonderful happens to elevate your mood or when something devastating occurs that throws you into disappointment, even depression. Regardless of the up or the down, the theory suggests that you gradually move back to the emotional space you inhabit most of the time. The good information, again, according to research, is that it’s possible to move that set point in a positive direction. How? With meditation. Meditation has been demonstrated to positively impact the left brain and, gradually, over time, it can move your set point in a positive direction. That is significant payoff. Haidt also quips that the set point can be altered with the medication Prozac … and I imagine that would, indeed, work, short term, for some – though not at all reliable or recommended here. The long-term and safe benefits are derived from meditation, minus negative side effects. “Life circumstances” include things that are less likely, or harder, for most to change: gender, IQ, history and background, education level, career/employment, and, for some, even where you live. This, then, is the least likely part of the formula to change … tweaking, perhaps possible. In contrast, “Voluntary activities” … how and where you choose to spend your time … have an enormous impact on your happiness level. This part of the formula includes family, friends, volunteer work, hobbies, and any activities that have connection and meaning. The more you do the things that bring you pleasure and personal satisfaction, the happier you are likely to be. If that seems ridiculously obvious, just take a minute and check what percentage of your time is spent actually doing the voluntary things that make you happy rather than a “quest” for what you believe (or are being told) brings happiness. Since the voluntary activities make the most impact on happiness levels, detailed exploration of what and how are examined in another formula. 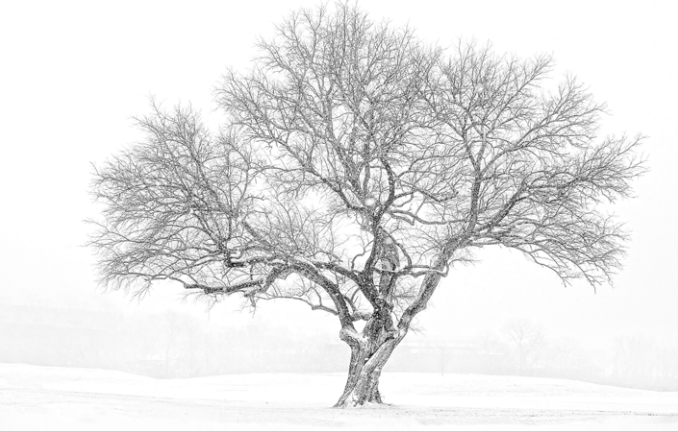 Consider the acronym PERMA, from the research of Dr. Martin Seligman in Flourish. You can use these five areas of “living life” as a checklist for what you’ve incorporated successfully in your life. Examine the areas you know you need to work on; perhaps push to a higher level or acknowledge those that are important to you. The goal is to assess for a bit of balance. Or, sometimes more achievable in our busy lives, “integration.” Ask yourself what you need to include that is missing? At least a little more often. What needs more emphasis or attention? What do you need to embrace as truly important, not to be taken for granted? I’m a huge advocate of checklists and inventories, because visuals do help. Consequently, I suggest identifying a page for each item in PERMA. Then list what you currently do that falls into each category. Then list what you have historically done but perhaps stopped for some reason. Next, what do you aspire to do that you’ve not yet done? And, finally, what do you believe you could put into practice within the next 30 days? After making the lists, sit back, take a deep breath (maybe even meditate, since research says it helps), and just see how you feel. Check yourself to imagine what needs to change to increase your happiness level. And when that is possible. One more basic piece of research: People earning under $50,000 to $75,000 yearly are typically unhappier than others. If obvious, perhaps more surprising, people who make more are typically not happier than others. Hmm! If the financial payoff isn’t a happiness guarantee, the information might make all the difference in where to put your energy. If not that convincing, perhaps it’s useful in at least contemplating and evaluating what you do that you might consider letting go of … as well as more frequently embracing what you know you do that works. Regardless, do what makes you happier! The Stadium Factor: How Architects Can Help Propel Soccer’s Rising Popularity in the U.S.
As excitement around the World Cup lingers, designers of soccer stadiums are exploring how these venues can keep up with and even contribute to the sport’s rapid growth in the U.S.
A recent Gallup poll showed that soccer’s popularity has tripled over the last decade. Founded 25 years ago, Major League Soccer now is the country’s fastest-growing professional sports league, ranking above the NBA and NHL in average per-game attendance. And the typical MLS fan is part of a demographic that is highly sought after by marketers and pro sports leagues. For adults ages 18 to 34, soccer was the favorite sport for 11 percent of those polled – tied with basketball and second only to football. The fan base is young, diverse, highly educated, and passionate about the sport. 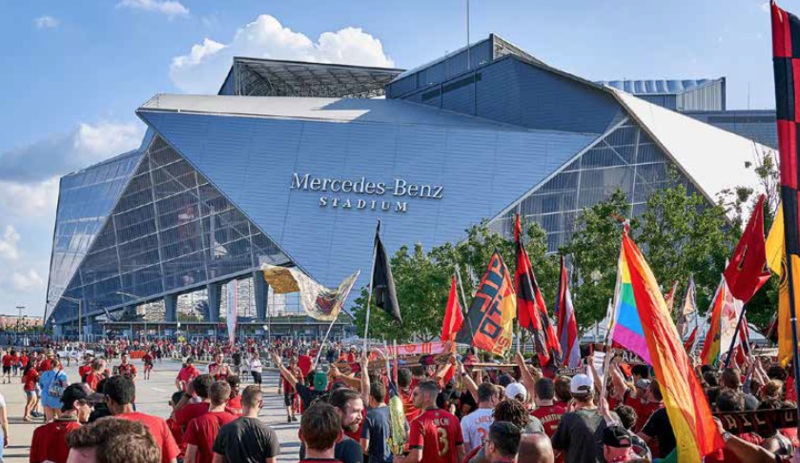 At the recently opened Mercedes-Benz Stadium, Atlanta United FC has shattered MLS attendance records. This year, in just its second season, Atlanta United boasts nearly 39,000 season-ticket holders, is averaging more than 50,000 per game, and for its 2018 home opener, reported a crowd of 72,035 – a single-game high for the league. MLS is making progress in signing more top players from around the world and increasing its TV ratings. For now, though, much of the league’s growth is being driven by providing dynamic game-day experiences in its stadiums. The fan experience also is key for the Division II United Soccer League (USL). As architects, we’re exploring new ideas for creating soccer-only stadiums that will provide memorable fan experiences that augment the action on the pitch while contributing to the business success of these franchises and leagues. Scalability: Many MLS and USL teams have outgrown stadiums originally designed for another sport or small, community facilities shared with other users. We can future-proof the next generation of soccer-only stadiums by integrating scalability and flexibility that will enable them to change and grow along with the sport. This embedded flexibility allows for easy adaptation for high-profile games and events while extending the life of a venue. 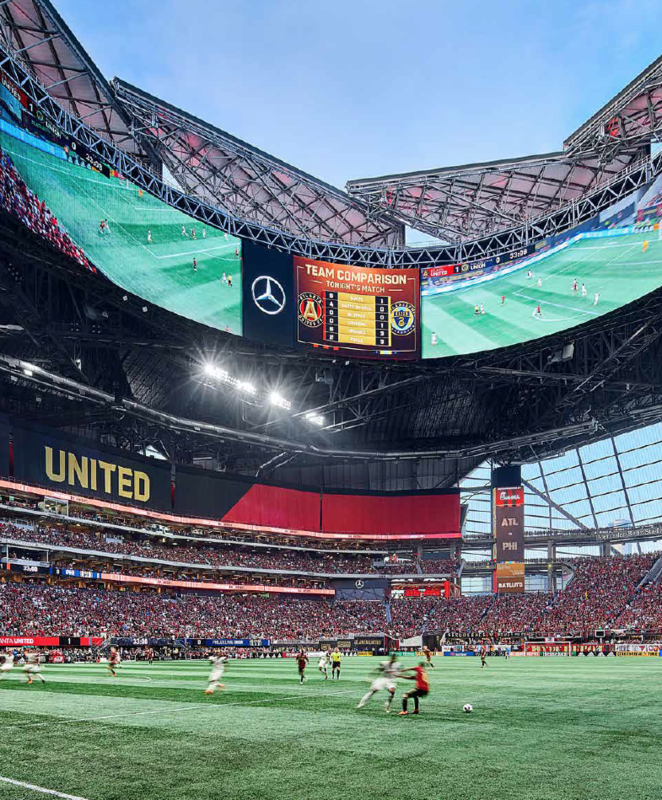 At Mercedes-Benz Stadium, where Atlanta United has frequently exceeded initial anticipated capacities, this scalability to easily toggle between soccer, football, and other events has been vital. Sophisticated fan base: Soccer boasts a unique fan base, capturing a high proportion of the country’s millennials and women and children who follow sports. Though the MLS and USL are relatively young, their fans already have high expectations for a hospitality-driven game-day experience – and will pay for this. Today’s soccer stadiums can appeal to these fans by offering a wide variety of premium seat offerings; experiences that engage fans with the action and athletes; interesting vantage points and social gathering spaces; a technology infrastructure that enables fans to stay connected to their networks while immersing themselves in the game experience; and localized, high-quality food and beverage options. Building tradition: Soccer fans take the sport seriously and are eager to participate in game-day traditions. The stadium, itself, can enhance these experiences, which could range from setting aside areas for tailgating to providing a special section for the most avid supporters. Our design teams collaborate with team owners and their fans to understand their routines before, during, and after games. District development: As America’s growth-sport evolves, so, too, is the approach owners are taking to the neighborhoods and real estate surrounding a stadium. On game days, stadiums can be the most electric spaces in a city. Yet many will lie dormant for days at a time between events. Opportunities to build new soccer-specific stadiums on urban sites are enabling architects to look holistically at the broader district experience and attempt to use the venue to engage and serve the community 365 days a year. 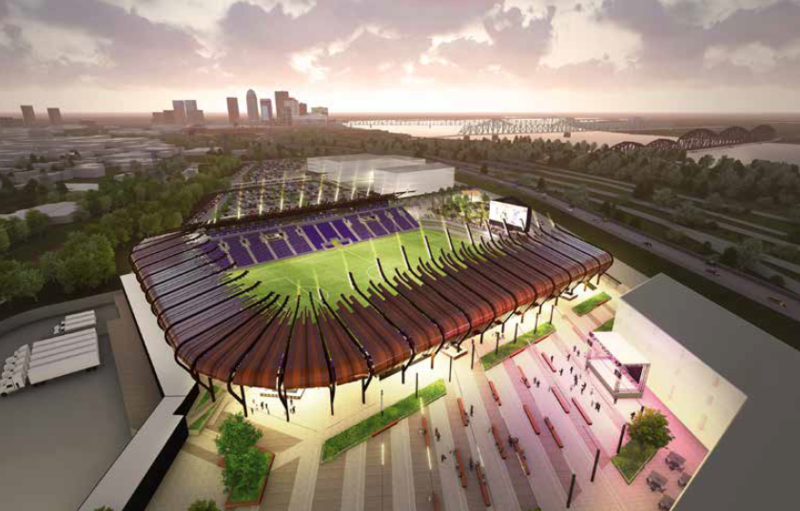 We’re working with the USL’s Louisville City FC to design an easily expandable soccer stadium that will anchor a 40-acre, mixed-use development adjacent to Louisville’s Waterfront Park. Here, in addition to a world-class stadium where fans can build a robust soccer culture and celebrate the sport, the goal is to create a shared living room for downtown – a public gathering space that contributes to the urban fabric. Golden Ox: Everything Old is New Again. Stewart Lane: Nostalgia often comes with a price. The temples of old where memories were made and personal history created tend to fall short of our expectations. Fortunately for us, the Golden Ox is a rare exception. 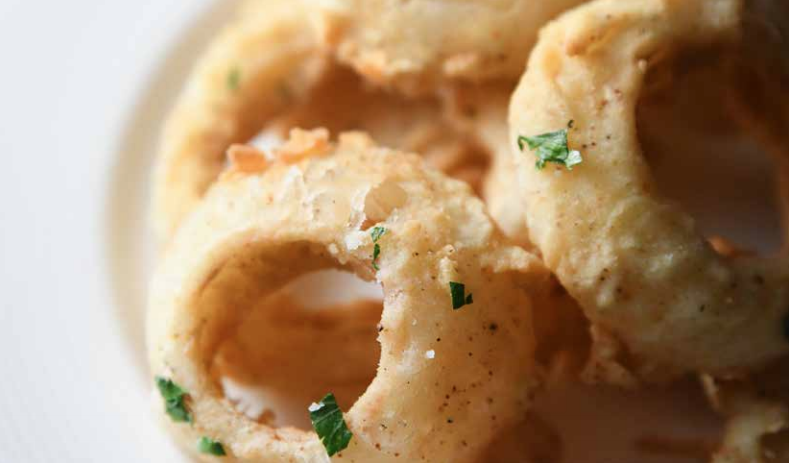 A revitalization of a bygone time where the best cuts of lamb, beef, chicken, and pork were the stars of the show and served with the respect they deserve. Emily Lane: After closing its doors in 2014, the team of chef Wes Gartner and Jill Myers (Voltaire and Moxie Catering) decided that they were willing to take on the challenge of bringing back this Kansas City icon under their management. Upon our visit, we were pleased to experience not only an excellently prepared meal but also the ambiance one would expect at the original restaurant. Almost a 1960s “Mad Men”-esque feel, with dark wood, punched-tin lighting, and rich, warm colors in the linens and fabrics, you instantly feel transported to another time. It seemed almost too perfect; there was a man sitting at the table next to us in a large white Stetson. 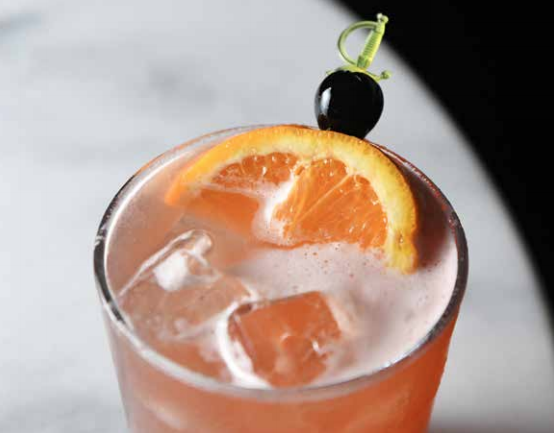 With a glass of dangerously potent cowboy punch in hand, the scene was set for our meal. SL: The Golden Ox pays homage to its roots without being stuck in the past. Classic starters are elevated to the modern table. The rumaki, a dish with Tiki origins, is built with bacon-wrapped water chestnuts dusted with brown sugar and chicken livers grilled perfectly, placed on a bed of warm, sautéed pineapple. The textures of crisp, smoky bacon, moist and tender livers, the snap of water chestnuts, and the warm pineapple come together in each bite. 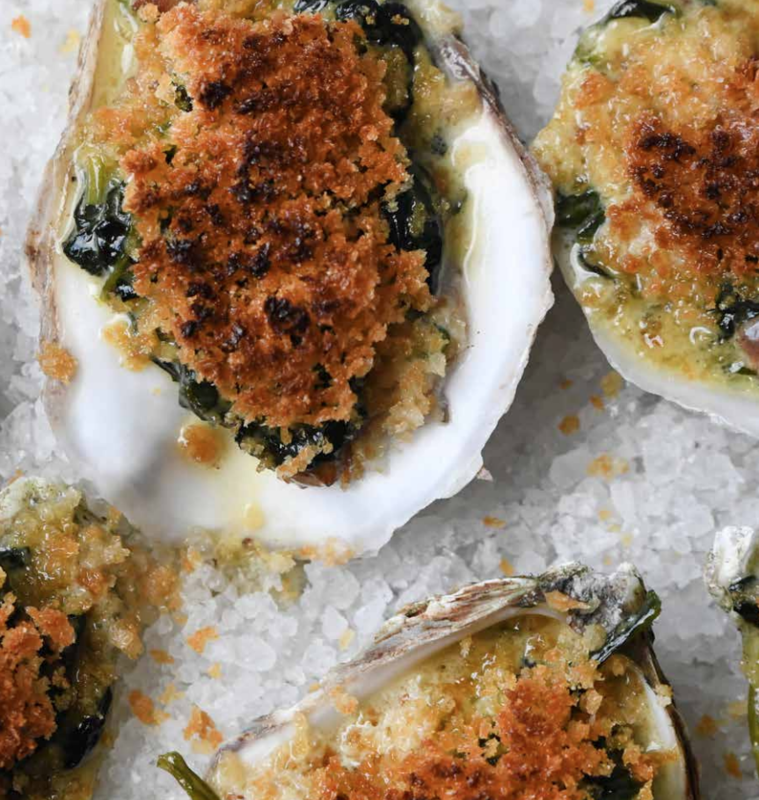 The steakhouse classic Oysters Rockefeller pairs the house-smoked bacon with plump, juicy oysters, spinach, onions with a touch of Pernod, and toasted breadcrumbs. The oysters arrive straight from the broiler, bubbling around the edges, on a bed of rock salt. EL: Our meal was coursed out in a timely fashion, and whenever we looked up, pausing for what might be next, an enticing dish would appear. The staff was attentive and thorough in the descriptions of the menu and bar items and ready and willing to share recommendations. There’s something so steakhouse about Caesar salad and shrimp cocktail preceding the main course; so naturally we had to sample those dishes. SL: The Caesar salad gets an upgrade befitting of the environment, featuring crisp romaine leaves tossed with a light and creamy dressing, thinly shaved shallots, sundried tomatoes, shaved parmesan, and house-made croutons. The salad is finished with a few delicate white anchovy filets draped over the greens. The chef even put his own twist on shrimp cocktail in the homemade cocktail sauce with shredded horseradish and diced green olives. EL: I couldn’t help but think how much my “meat and potatoes” father who hails from Pennsylvania would have loved every aspect of this traditional menu, but at the same time, it’s been elevated so even the finest foodie would find it engaging and satisfying. I think that’s a good way to assess the client base we observed – you had tables of businessmen, couples of all generations, and families sharing stories (and bites of food) across the table. It seemed everyone felt at ease in this warm habitat. SL: Steak is, of course, the focal point on the menu, which features flat iron, skirt, filet, dry-aged bone-in ribeye, porterhouse, and, of course, the KC strip to name a few. Chef Gartner proudly touts the local cattle farmers who supply the steaks. We opted for the namesake KC strip, and it was perfection. Textbook medium-rare inside with a crackling crust and a crispy fat cap on the edge, finished with a delicate béarnaise sauce. Handbattered onion rings and a loaded baked potato with house-smoked bacon completed our steak experience. But there are more than steaks meeting the flame here. Emily couldn’t resist the Scottish salmon with a citrus beurre blanc sauce and fennel caper slaw, which was executed with the same finesse and care as any steak. EL: And what’s a meal without dessert? I loved how they took a nod from the original Golden Ox menu of the ’60s and featured a classic banana split as one of the dessert options. We opted for another classic – the strawberry shortcake – and it was every bit as nostalgic and indulgent as I could have wanted. On our way out the door, I asked Stewart, “When do we get to come back?” We hope the Ox keeps its doors open for years to come. Tom Strongman’s 49-year career as a photojournalist started with a click of a button on the sidelines of a college football game next to his father, who was also a newspaper photographer. “When I was around 15 years old, my dad had me come along to the University of Illinois football games to be his caption writer. I would squat down behind him, and he would take a picture of something and tell me what frame it was and I would write it down,” remembers Strongman. Eventually, his father expanded his job description. Strongman followed his father’s lead, pushed the button and ended up with a picture on the front page of the sports section of the Decatur, Illinois, paper. He was 16 years old. “That triggered my interest,” he says. He joined the yearbook staff, where he was assigned group shots of the athletic teams and clubs. While this did not give him a lot of creative freedom, he’d caught the bug and went on to pursue his journalism degree at the University of Missouri with a major in photojournalism. After graduating in 1966, he worked at the local paper in Flat River, Missouri, for a year waiting for his girlfriend – and soon-tobe wife – to finish school, and then the newlyweds headed west to Colorado. Strongman took a job with the The Free Press (later the Sun) in 1967. He’s modest about his assent in the ranks. Seven years later, it was off to a bigger market with smaller mountains for a stint with the Denver Sentinel suburban papers. In 1979, Strongman moved to Kansas City as assistant photo editor at The Kansas City Star. He became the art director of the Sunday magazine and eventually director of photography. While Strongman loved cars – both writing about them and driving them – he didn’t have the opportunity to do much photography whose subjects didn’t have wheels. Despite his 49-year career behind the camera, Strongman finds himself reaching for his iPhone. Whether he’s using his phone or a more sophisticated camera, this willingness to explore new technology and subjects has opened up Strongman’s photography to include nature and family and friends. His images ended up in a Shutterfly book for the home association owners who live nearby. Strongman notes that the freedom to focus on what catches his interest – in a moment or over a longer stretch of time – has been one of the joys of retirement. Besides capturing nature and objects, Strongman has become the photographer of record for his family. He is a fixture at his three younger grandsons’ sporting events and makes photos available to their teammates and their parents. “When I was working for newspapers, we’d look for that little interesting nugget about somebody’s everyday life that wouldn’t normally be in the paper. I used to think those pieces make the story even better. 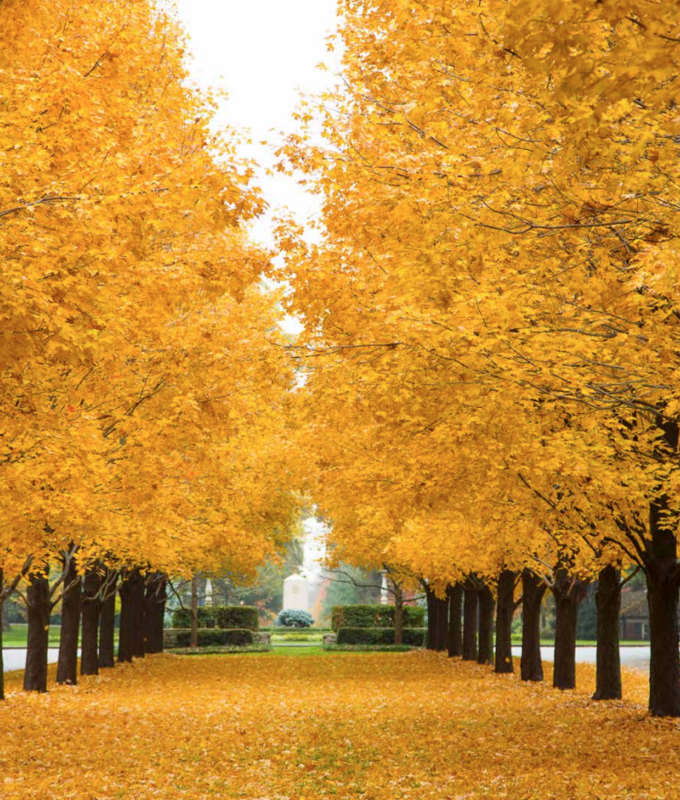 The brisker weather of autumn is just around the corner, so it’s nearly time to cozy up and hunker down at home. Perhaps in your own favorite spot. You don’t have to have a man cave or a she shed to carve out your own nook at home. To get started, whether it’s planning on your own or with a designer, the most important thing to determine is how you want to use the space – whether it’s for work, play, or both. “This helps us determine what functionality must be built into the space,” Noble says. Perhaps you have some favorite artwork or furniture you want to add in. What Noble loves about design right now is that the lines between traditional masculinity and femininity are blurred. But when Noble and her team get the opportunity to design for just one gender, it’s fun to play up that man cave and women’s lounge. 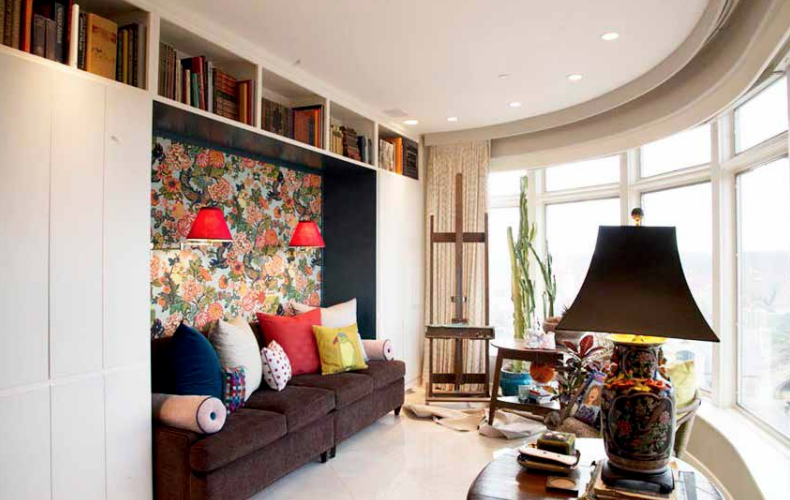 “For men, it’s great to use rich color, stains, and paint everything including the trim for a cozy feel,” she says. “For her, it’s shades of pink and softer curves. The Westmeyers are not new to house renovations. They have moved and improved numerous houses but this one is different. Their new home in Hallbrook is more of a permanent residence – and it should be. The bones of the home are gorgeous. This classic colonial-style home has large white columns and an all-brick facade that create the feeling of old Southern charm. The inside, while well done, was a bit dated. So the Westmeyers called Noble to help implement their vision. The formal living room is a perfect ladies lounge. 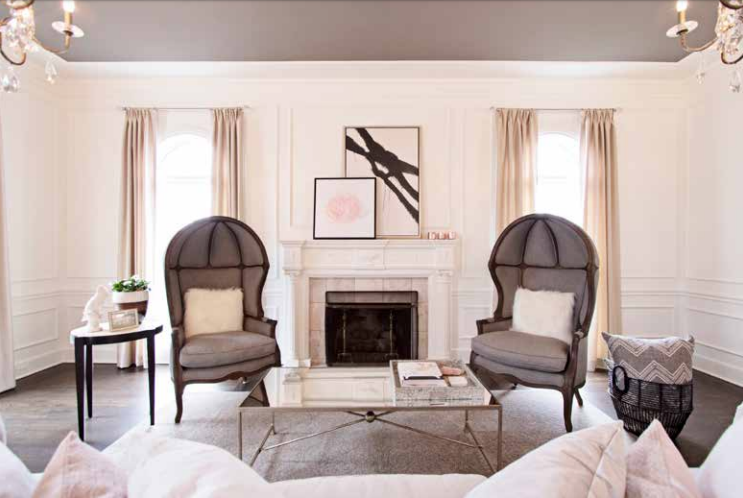 The mix of crystal and blush gave the space a formal, soft feel. It’s perfect for tea or cocktails. 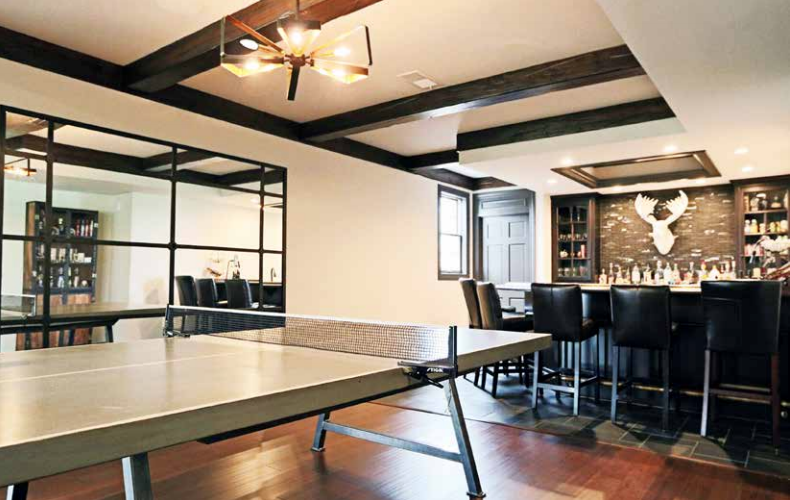 The theater room was more of a cozy room good for sports events or the latest movie. While the molding was added to give the space a feel that fit the rest of the house, the dark grays and plaids were added to make it his space. It’s cozy with flannel gray upholstered walls. And while it’s a great guys’ space, truth be known, the whole family is happy down there.